Personal injury is legal terminology for injury to a person’s body, mind, or emotions (as opposed to damage to property). For certain personal injury claims, especially those involving serious harm or medical malpractice, you’ll want the help of an experienced lawyer. If you’ve been involved in an accident, it’s very likely that you’ll have to deal with an insurance company, for which you would definitely want an attorney’s assistance. If the injured person was in a location where they were not supposed to be, the individual who caused the accident may not end up being liable. If the injured person themselves were careless, their compensation could likely be reduced. If an accident is caused by the negligence of an individual while working for someone else, the employer can be held liable for the accident. If the accident is due to property that is not maintained well, poorly built, or by a defective product, the owner of that property or the manufacturer of that product may be held liable. If you were careless and are partially at fault/responsible for the accident, don’t worry! In most states you can still get at least some compensation. There is a rule known as comparative negligence, and it is best to partner with a personal injury lawyer for this type of case. 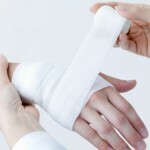 Contact LegalHelpLawyers.com today to obtain legal advice on your personal injury case!